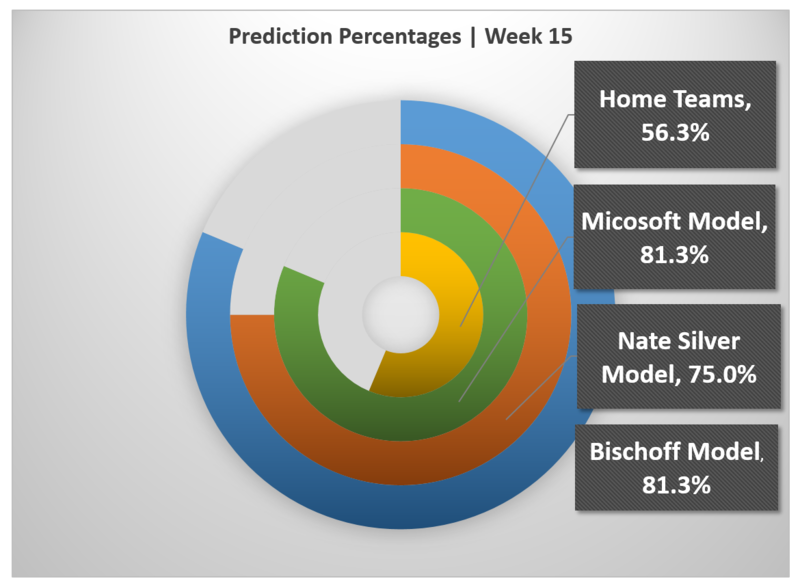 Week 15 resulted in the Bischoff model’s 4th highest pick percentage of 81.3%, correctly picking 13 out of 16 of last weeks games. The model’s other prediction percentages still beating this week’s are Week 5 (93.3%), Week 6 (86.7%) and Week 12 (86.7%). The model moves to 155-68-1 on the season (69.4%). 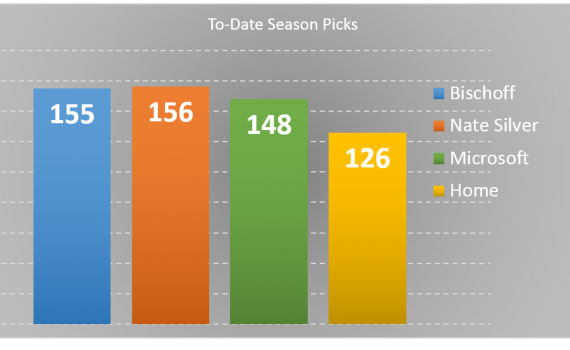 Microsoft Cortana saw the same success as the Bischoff model with picking 13 out of 16 games, however the result was not from identical predictions. Cortana had deviated from Bischoff’s prediction of Arizona over St. Louis, which caused hurt Cortana. 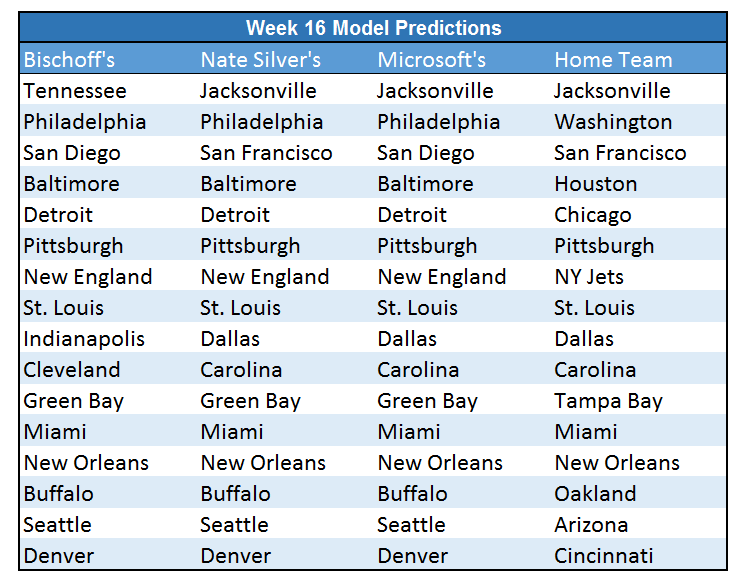 Nonetheless, Microsoft’s model deviated from the Bischoff model once more with a prediction of NY Jets over Tennessee, which proved to be a last minute win from New York. Nate Silver’s Elo, correctly picking 12 out of 16 games, lagged behind the Bischoff model by 1 with confidence in Chicago that did not hold true. The loss also resulted in Jay Cutler getting pulled from starting this Sunday. Nate Silver’s Elo moves to 156-67-1 (69.7%). Additionally, Nate Silver strays from Bischoff and Cortana with a pick of San Francisco over San Diego. Here is the full breakdown.